May need some help.. anyone got the original font folder? mine for some reason got replace.and It wont let me load in the game. 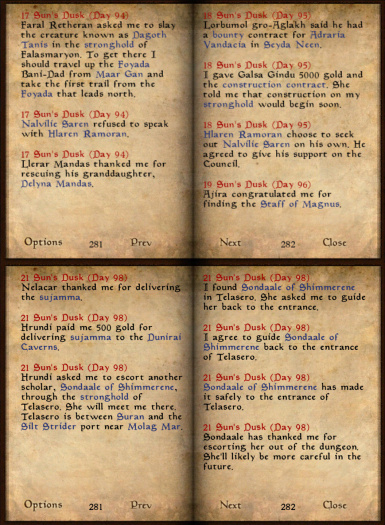 I have a digital edition of Morrowind Goty: the mod was working fine but the texture mods weren't working. So I had to redate the BSA files and all the textures are now ok...but Better Dialogue Font is not working anymore! What can I do? I like this. I think I'll add it to my next playthrough. makes the dialogue so much easier to read. its subtle and nonintrusive and doesnt stray from the original font. thank you! Using the Mod manager for this did not work for me. The NMM would just take all the old fonts and delete them and then add one font from this file, but if you don't have a "regular" font, the game wont even start. I manually downloaded the files, and put them in myself. NMM is broken, and I wouldn't recommend using it for any mod. How do I get this to work with OpenMW? Wonderful mod! This geezer's old eyes thanks you very much! It's amazing how much this is good. The changes are subtle but your eyes will thank you. 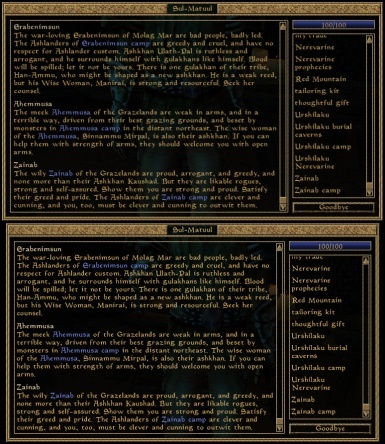 Don't play Morrowind without this.